Aníbal T. de Almeida received his graduation degree in electrical engineering from the Faculty of Engineering – Porto University, in 1972, received his PhD degree in Computer Control from London University, in 1977 and received his aggregation/habilitation degree in electrical engineering from the University of Coimbra, in 1981. 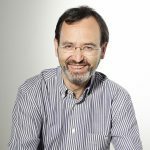 Professor Aníbal T. de Almeida is Full Professor of the Electrical Engineering Department of University of Coimbra and Director of the Institute for Systems and Robotics (ISR)-Coimbra, which has received a grade of Excellent by the FCT international evaluation panel. He has participated and has been responsible for a variety of projects with industry both at national and international level (namely European Commission , including more recently FP7 and H2020 Programmes). He has been a consultant of the European Commission, UNDP, UNIDO e GEF/World Bank. He was General Chair of the IROS-2012 IEEE/RSJ International Conference on Intelligent RObots and Systems, Vilamoura-Algarve, Portugal”. He is the author of over 300 papers in international journals and conferences, with over 2200 citations in Scopus Web of Science. Full professor of Materials Science and technology, Director of the Bachelor Design School, he is carrying out his own base and industrial research activities in the field of the advanced materials, polymer, composite, structural colors, glassy metals and shape memory alloys. Head of the Advanced Material Lab of the Department of Architecture and Industrial Design of the Second University of Naples. Academic and professional national and international positions: 2015 Visiting Professor at the East China University of Science and Technology, Dept of Art Design and Media, Shanghai, Cina Since 2014 member of the CUID”, board of the Italian Design school Directors. Since 2013 in the Horizon 2020 expert panel for EU and Euratom research and innovation programmes Since 2013 President of the of the Bachelor Design School at the Second University of Naples Italy 2011-2014 President of the Master Design School at the Second University of Naples. 2008 Visiting professor University of Kentucky (USA), Sustainable Materials Research and Technology.Since 2007 in the Seventh Framework Programme of the European Community for research, technological development (2007 – 2013).Since 2004 in the panel of experts of Ministry of Industry as reviewer of research projects.Since 2001 in the panel of the reviewer MIUR of projects of industrial research.2001 Full professor Material science and technologies at the SUN.Since 1998 in the panel of the academic reviewer MIUR. 1996-2006 expert of the European community for the review of proposals. 1999 and 2000 Visiting Professor, Dept. 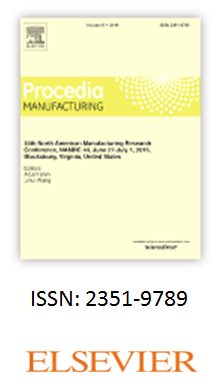 of Mechanical Engineering – University of Lulea, Lulea, Sweden on sustainable material, composites. Since 1990 in the panel of the CNR experts advanced materials. 1986 Associate professor University of Naples. 1981 Visiting Professor at the University of Washington 1981 Research associate Polymer science and technology, University of Naples 1978-1981 Research assistant North Caroline State University USA. Artur Mateus is an Associate Professor of Mechanical Engineering Department, on Rapid Tooling and Manufacturing, at the Polytechnic Institute of Leiria (PIL), since 1997. Also is Vice-Director of the Centre for Rapid and Sustainable Product Development at the Polytechnic Institute of Leiria (PIL). He is the Administrator of an Incubator for startups, OPEN (Marinha Grande – Portugal). He was a research supervisor of Rapid Tooling & Manufacturing at Vangest Group (Marinha Grande – Portugal) between 1999 to 2001.Artur Mateus has a PhD in Polymer Physics from Reading University (UK), a MSc from the Technical University of Lisbon (Portugal) and a first degree in Mechanical Engineering from the University of Coimbra. He has co-edited three books, authored and co-authored more than 70 papers published in books, international journals, and proceedings of international conferences. Artur Mateus has participated in more than 60 Research Projects, national and international, in consortium with companies and firms related to Rapid Tooling and Manufacturing, rapid design and advanced materials processing. Carlos Oliveira Augusto has a Bachelor’s degree in Civil Engineering from Instituto Superior de Engenharia de Lisboa, a graduate degree in Business Management from Instituto Superior de Estudos Financeiros e Fiscais, and a Master’s degree in Planning and Sustainable Construction from Universidade Lusíada de Lisboa. He is currently a PhD student at the International Doctoral Program in Sustainable Built Environment at the University of Minho. He has been working as Researcher since 2007 at CITAD – Centro de Investigação em Território, Arquitetura e Design (Universidade Lusíada de Lisboa). 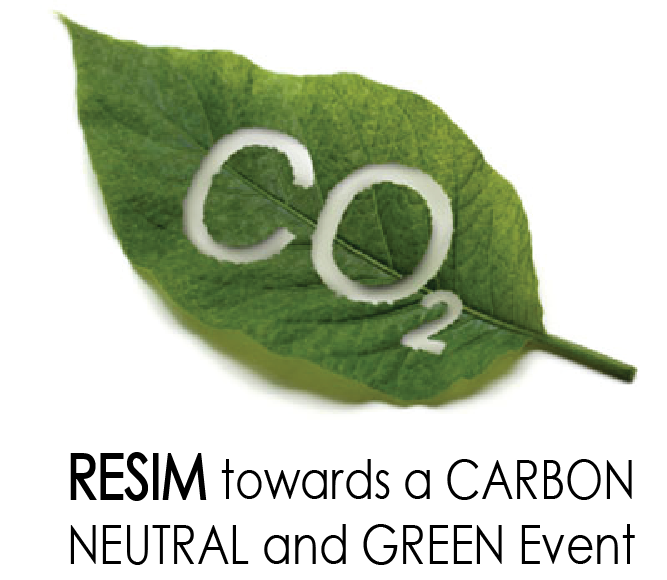 More recently, he is working at CDRSP – Center for the Rapid and Sustainable Product Development (Polytechnic Institute of Leiria), as a researcher, aiming the application of the Life-Cycle Assessment Methodology in the context of Sustainable Construction. He regularly develops guest speaker activity at higher education institutions and at national and international conferences and congresses in the area. He is the author of a book published with the sponsorship of FCT – Portuguese Foundation for Science and Technology, and author/co-author of several papers published in journals and conference proceedings. He is currently the CEO of FACTOR4Sustainability®, a company that develops and markets services focused on Sustainable Development in environmental, social and economic areas. 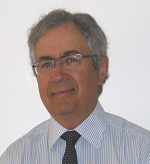 David Ezra, owner of DE Technologies Ltd and Professor in the Centre for Advanced Microscopy of Reading University (UK), is an expert on liquid crystal, optical devices, novel security devices, and nano microstructures surfaces. David Ezra was Director at the Sharp-Europe Research Laboratories in Oxford UK and was involved in helping develop 3D Television. Since then he has developed a company focused on optical security devices and was Visiting Professor at the University of Reading. Previously he was with De la Rue the security printing company and worked at CERN as a physicist. 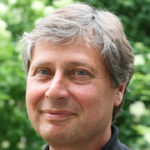 Professor Leonard’s principal area of interest is transport and rate processes in biological systems. He is director of the Artificial Organs Research Laboratory, a component of the Department of Chemical Engineering since 1968. Its mission has grown with the evolution of modern biology and with the increasing sophistication available for the construction of medical devices. 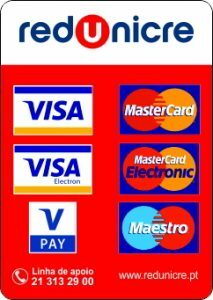 Thus, current projects have a wide range: Innovations to traditional artificial organs effecting transport (kidney, liver, lung, cardiovascular implants) with special emphasis on the artificial kidney, to regenerative medicine, especially the development and study of methods for introducing stem cells into adult tissue. Professor Leonard directs the NSF-sponsored course cluster in Genomic Engineering, and is a member of the Columbia Genome Center. He and his students are engaged in building models of intracellular activity that incorporate both signal transduction and gene networks. Two systems are currently under study: single-molecule excitation of olfactory neurons, and the proposed prion model of plasticity in the interneurons of Aplysia californica. Further details and links are available on the Leonard homepage (link above). Prof. Leonard is teaching or has recently taught undergraduate chemical engineering courses in transport phenomena, three graduate courses in chemical engineering – mathematics for chemical engineers, “Artificial Organs” and “The Genome and the Cell”- and a biomedical engineering course entitled “Transport and Rate Phenomena in Artificial Organs”. Filipe Silva is a Full Professor at the Department of Mechanical Engineering of the University of Minho, and a Researcher at the CMEMS-Centre for MicroElectroMechanical Systems of the same University. His research interests are related with Biomedical Engineering, Mechanical Engineering and Materials Engineering. 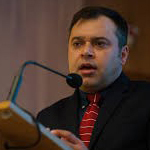 Professor Filipe is/was the Principal Investigator of sixteen research projects, and he has authored and co-authored 160+ papers published in international journals. Geoffrey Mitchell studied in Sheffield and London before obtaining a PhD working with Alan Windle at the University of Cambridge, UK. His PhD thesis focused on the study of the local structure of polymer melts and glasses using x-ray scattering and computational modelling. 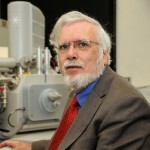 He spent a period in Cambridge as a research fellow with a programme centered on the study of liquid crystal polymers. This was followed by a spell at Hokkaido University, Japan with Professor Akira Odajima applying nmr and dielectric measurements to main-chain liquid crystal polymers. In 1984 he took up a lectureship in physics at the University of Reading, was appointed Reader in Polymer Physics in 1992 and Professor of Polymer Physics in 1995. He was the Founding Coordinator of the Polymer Science Centre a collaborative research programme in polymer science involving the Departments of Physics and Chemistry. In 2005 he was the founding Director of the Centre for Advanced Microscopy at Reading which was University wide centre of excellence. In 2013 he was appointed Emeritus Professor. In 2010 he joined the staff of the Centre for Rapid and Sustainable Product Development at the Institute Polytechnic of Leiria. Previously he had been Visiting Professor of IPL since 2004. He is now Vice-Director of CDRSP since 2014. Professor Mitchell has a broad experience of materials research ranging from non-linear optics through smart materials to the microstructural study of technologically important materials. 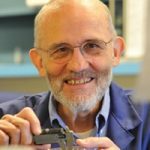 He has developed novel time-resovig techniques in x-ray and neutron scattering for the study of both local structure and the influence of external fields (shear and extensional flow, stress, magnetic, electric) on polymer melts, glasses, liquid crystal polymers and crystallisable polymers. He has combined such scattering techniques with computational modelling to reveal quantitative information about the segmental packing in polymer melts and glasses. He has pioneered the study of liquid crystal elastomers including both chiral networks and the use of such networks as smart materials. He was one of the first to develop photoactive materials for a variety of applications, including non-linear optics, optical fibre switches, coatings and smart systems. In the last 15 years he has developed strong interest in additive manufacturing, firstly with the development of a novel UV/IR Stereolithography process and then the influence of 3-d printing processes of the structure and morphology of the final products. He has developed a strong interest in electrospinning and was amongst the first to evaluate the effect of the electrospinning parameters on the polymer structure of the fibres. He initiated and has chaired a highly successful conference series on electrospinning. This has led to a book ‘Electrospinning: principles, practice and possibilities’ which will be published by the Royal Society of Chemistry in 2015. 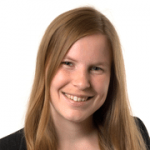 Dr Hanna Tuomisto joined the LSHTM as a Research Fellow in March 2016. She holds BSc and MSc degrees in Agroecology from the University of Helsinki, and a DPhil degree from the University of Oxford. During 2011-2015, she worked as a Postdoctoral Researcher at the European Commission’s Joint Research Centre (JRC) at the Monitoring Agricultural Resources (MARS) Unit and at the Sustainability Assessment unit.Hanna’s main research interests include sustainable agriculture and food systems, environmental change, sustainable and healthy diets, cellular agriculture, carbon footprint, environmental footprint and life cycle assessment. 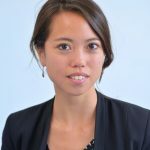 At the LSHTM, Hanna works as Research Fellow in the “Future diets and health: how will environmental changes affect food availability, food consumption and health?” –project. The project aims at estimating the impacts of environmental change on food availability, diets and population health in the United Kingdom, Ethiopia and Mexico. In her doctoral thesis project at the University of Oxford, Hanna used life cycle assessment for comparing environmental impacts of organic, conventional and integrated farming systems in Europe. She also modelled the environmental impacts of large-scale cultured meat (i.e. in vitro meat or lab-grown meat) production. After finishing her DPhil, Hanna joined the European Commission’s Joint Research Centre (JRC) as a postdoctoral researcher. During 2011-2014, she worked in the Low-Carbon Farming -project that developed and tested a farm-level carbon calculator that can be used for estimating life cycle assessment based greenhouse gas emissions of European farms. She also continued her work on environmental impacts of cultured meat production. During 2014-2015, Hanna was involved in large multi stakeholder participatory project that develops Environmental Footprint (EF) assessment and reporting guidelines for industries. Hanna specialised in the pilot projects that develop Product Environmental Footprint Category Rules (PEFCR) for food, feed and drink industries. João Morais (JM) is currently Head of Cardiology Division and Coordinator of the Research Centre of Leiria Hospital Centre in Portugal. 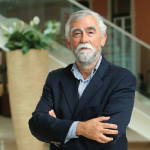 Since 2014 is Chairman of the Working Group on Thrombosis of the European Society of Cardiology (ESC), and since 2015 is Elect President of the Portuguese Society of Cardiology. In 2014 achieved is PhD in Oporto Medical School and recently was nominated Affiliated Professor by the same school. Inside the ESC JM was member of several task forces to produce guidelines and consensus documents with a special relevance in the field of thrombosis, antithrombotics. JM is author and co-author of more than 200 papers, half of them published in full-text in peer review journals, and he was invited to speak in more than 350 national and international meetings. As an investigator JM participated in more than 50 international clinical trials, registries and other scientific projects, being member of the Steering Committee and National Leader in around 20 of them. In 2014 JM was awarded by the Mayor of Leiria with the city’s Silver Medal regarding highly relevant services in health care. Lindsey Wuisan is the founder of Circular Economy Portugal which aims to accelerate the transition to a circular economy in Portugal. From 2011-2016 she worked at the Ministry of Infrastructure and Environment in the Netherlands as a policymaker at the sustainability department. There she contributed to the development of a national policy program on circular economy; particularly a public-private partnership with the recycling industry. During this period she also helped to create the national roadmap for a low-carbon economy and the national strategy for a biobased economy. In 2012, she worked at DG Environment of the European Commission on the Sustainable Food Communication. Other policy issues she has tackled are: sustainability criteria for bio-energy, cascading use of biomass, sustainability certification, climate change mitigation, food waste, (municipal) waste prevention. Lindsey Wuisan holds a MSc degree in Environmental Sciences from Wageningen University with a minor in Natural Resources Management and Private Governance. Besides research and policy, Lindsey Wuisan has also been active in several grassroots organisations and civil society initiatives. 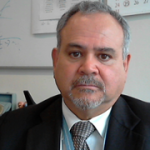 Ludovico Alcorta is Director of UNIDO’s Development Policy, Statistics and Research Branch. Previously, he served as Professor in Economics of Technology and Innovation and as Associate Dean for Research at the Maastricht School of Management. He was a Research Fellow at the Institute for New Technologies, United Nations University and worked as an Economist for Latin America at the Economist Intelligence Unit and Midland Bank (part of the HSBC group). He has performed consultancy work for the United Nations Conference on Trade and Development (UNCTAD) and for the UN’s Economic Commission for Latin America and the Caribbean (ECLAC). 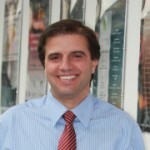 Ludovico Alcorta is also an Affiliated Professor at the Dusseldorf Business School, Universidad Católica del Peru in Lima and University of Maastricht. 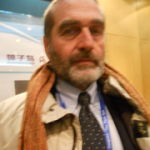 He has published extensively in the areas of new technologies, innovation and development, including in journals such as World Development, European Journal of Development Research, Research Policy, Industry and Innovation as well as in China’s Economic Research Journal. Ludovico Alcorta holds a Bachelor and Master in Economics from Universidad del Pacífico, Lima, as well as a Master of Philosophy in Development Studies and a PhD, both from the University of Sussex, Brighton, UK. Mikael Lindström is the deputy director of the Innventia AB since September 1995. 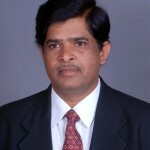 He has a PhD from KTH Royal Institute of Technology, Division of Organic Chemistry, since 1989. For five years, from 1990 to 1995 he was a chemist at Firmenich. He is also an adjunct professor of Konstfack – University College of Arts, Crafts and Design since 2009. His interests are related with raw and natural materials. He has developed a lot of work in wood-based materials with a lot of relevant publications in books and international journals in this area of expertise. Mónica Faria currently works as a Research Fellow in a project with the title “Hemocompatible Nanostructured Membranes for Artificial Organs”. The project aims at developing blood compatible membranes for extracorporeal blood circulation devices such as blood oxygenators and hemodialysers and is a joint collaboration between MemChem-Membrane, Chemical and Electrochemical Processes Group at Instituto Superior Técnico and the AORL-Artificial Organs Research Laboratory at Columbia University. She holds a BSc in Chemical Engineering, a MSc in Biochemical Engineering from FCTUC, University of Coimbra and a PhD in Chemical Engineering from Instituto Superior Técnico. 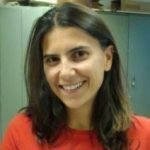 In 2012 she became a Postdoctoral Researcher at the AORL-Artificial Organs Research Laboratory at Columbia University (New York, USA) where she initiated a project aimed at developing block-copolymer nano-porous materials for separation of biological cells. In 2013 she became the principal researcher of an ongoing AORL project dedicated to the development and testing of a portable, continuous ultrafiltration device for amelioration of hypertension associated with end stage renal disease and congestive heart failure. As part of this effort, she designed and conducted in vitro (bench) and in vivo (animal) studies. Mónica’s main research interests are extracorporeal blood circulation devices, polymer membrane synthesis for biomedical applications, hemocompatible nano- and micro- structured materials, biodegradable and biocompatible polymers, surface modification and functionalization. Nathalie Labonnote has a PhD on Structural Engineering from the Norwegian University of Science and Technology (NTNU) in 2012, a Master degree on Aerospace, Aeronautical and Astronautical/Space Engineering, Ecole nationale supérieure d’Ingénieurs de Constructions aéronautiques (2002-2006) and a degree on Classes Préparatoires, Mathematics and Physics – Lycée Michel Montaigne, Bordeaux (2000-2002).She started her professional career as Engineering Apprentice at 2004, Skis Rossignol, Voiron, France. Then, until 2007 worked as Testing Engineer at DECATHLON, Villeneuve d’Ascq. France. March 2007 to July 2007,she was an Assistant Compliance Officer of the Fibreglass Developments Ltd, Fielding, New Zealand. From September 2007 until February 2008 she worked as Demand analyst at the Aperio Group, Christchurch, New Zealand. At the same time, she was a Research scientist at University of Canterbury. There, she worked on numerical modelling and design of new competition composites bike wheels for the New Zealand team of track cycling. Since August 2012 she is a Senior Research Scientist at SINTEF Building and Infrastructures. The foccus of her work is on timber structures, composite structures, FEA, additive manufacturing. Rachel Armstrong is Professor of Experimental Architecture at the Department of Architecture, Planning and Landscape, Newcastle University. She is also a 2010 Senior TED Fellow who is establishing an alternative approach to sustainability that couples with the computational properties of the natural world to develop a 21st century production platform for the built environment, which she calls ‘living’ architecture.Rachel has been frequently recognized as being a pioneer. She has recently been featured in interview for PORTER magazine, added to the 2014 Citizens of the Next Century List, by Future-ish, listed on the Wired 2014 Smart List. She is one of the 2013 ICON 50 and described as one of the ten people in the UK that may shape the UK’s recovery by Director Magazine in 2012. In the same year she was nominated as one of the most inspiring top nine women by Chick Chip magazine and featured by BBC Focus Magazine’s in 2011 in ‘ideas that could change the world’. 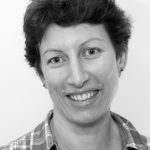 Sandra Forstner works as a project manager within Strategic Research in Biozoon and was responsible for the EU FP7 PERFORMANCE project. PERFORMANCE focused on the personalised nutrition of elderly persons suffering from chewing and swallowing difficulties which is influenced not only by the aging process and health status (physiological and physical disabilities) but also by psychological factors (e.g. the way food is prepared and consequently consumed). Sandra holds a BSc in food technology focusing on functional food and ingredients. From her combined experience in academia and industry, she has gained professional know-how within food ingredients and processing technologies complemented by successful management, both as a participant and as coordinator of several European and national RTD projects.